The Bulls came out on fire Friday night, scoring two goals in each of the first two periods to knock off Corpus Christi 5-2 and even the series. 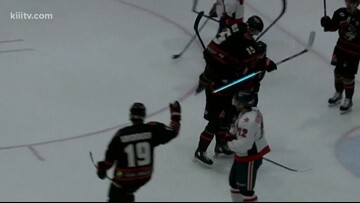 Corpus Christi overcame two separate deficits in regulation before the Bulls scored the winner in OT to notch their first win of the series. 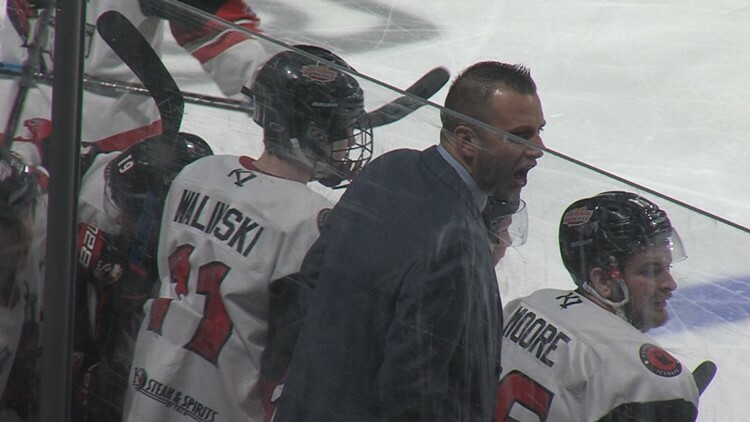 The IceRays overcame two separate deficits to force OT, but Amarillo got their first win of the series with the 4-3 victory Thursday. Corpus Christi now holds a 2-1 series lead. 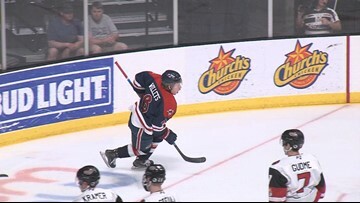 The IceRays won game two of their NAHL Robertson Cup Playoffs series with the Amarillo Bulls in overtime 6-5. The win gives Corpus Christi a 2-0 lead in the best of five series. 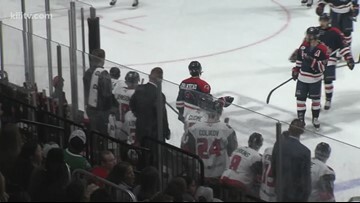 The Corpus Christi IceRays dropped to 23-23 on the season with a 6-2 loss to the Odessa Jackalopes. 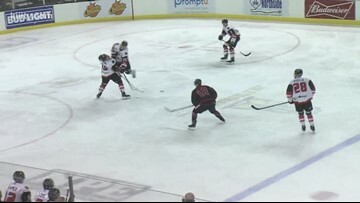 The IceRays evened up the game 1-1 in the first period, but it was all Amarillo from there as the Bulls get the sweep with the 5-1 win Sunday. The first-place Bulls grabbed an early lead and didn't let it go in a Saturday night win over Corpus Christi. 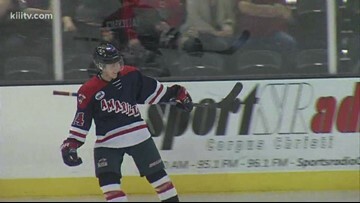 Corpus Christi gave up an early lead and couldn't recover in a 3-1 loss to first-place Amarillo. 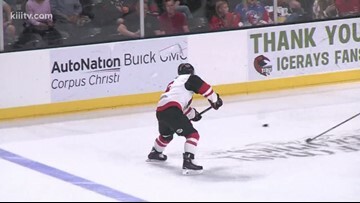 In a very physical game, the Corpus Christi IceRays got a win over the Mudbugs in overtime.